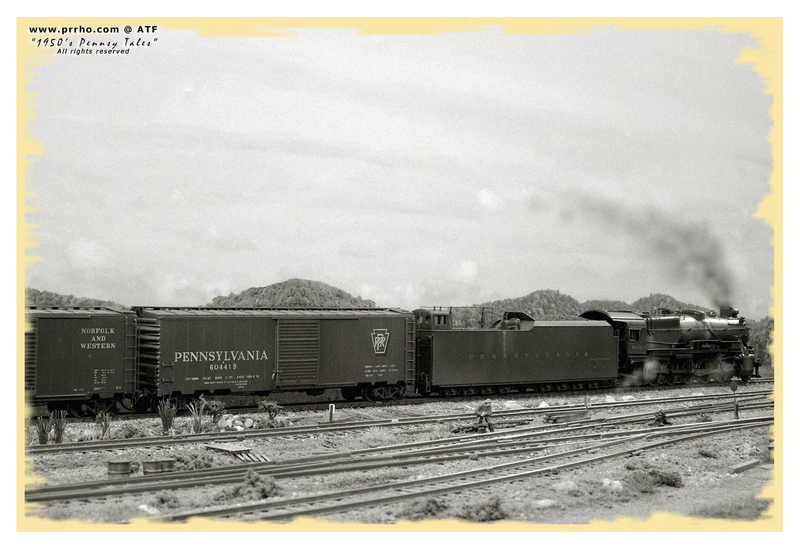 This is the first, initial picture of the virtual historical pictures collection called Fifties Pennsy Tales, for the model trains in HO scales, produced by ATF Professional Photography. On this image, the new graphic project of simulation about vintage railroad scenes, show an extra freight train pulled by an I1sa at Redstone Junction in 1957. If the project like it, will continue. Each comment is well accepted.